New research has found that one of the world’s most prolific bacteria manages to afflict humans, animals and even plants by way of a mechanism not before seen in any infectious microorganism — a sense of touch. This unique ability helps make the bacteria Pseudomonas aeruginosa ubiquitous, but it also might leave these antibiotic-resistant organisms vulnerable to a new form of treatment. 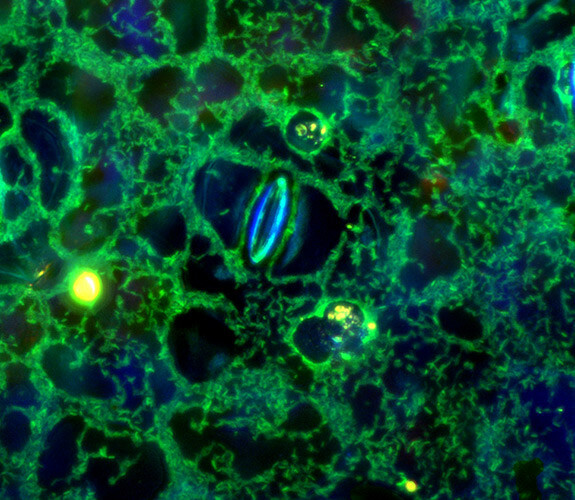 Pseudomonas is the first pathogen found to initiate infection after merely attaching to the surface of a host, Princeton University and Dartmouth College researchers report in the journal the Proceedings of the National Academy of Sciences. he researchers found, however, that the bacteria could not infect another organism when a protein on their surface known as PilY1 was disabled. This suggests a possible treatment that, instead of attempting to kill the pathogen, targets the bacteria’s own mechanisms for infection. A broad host-range pathogen such as Pseudomonas cannot rely solely on chemical cues to alert it to the presence of a suitable host,” Ausubel said. “It makes sense that Pseudomonas would use surface attachment as one of the major inputs to activating virulence, especially if attachment to surfaces in general rather than to a particular surface is the signal,” he said.